While it may seem like a concrete jungle filled with nonstop noise and constant gridlock, New York City is actually a great place to ride a bike. 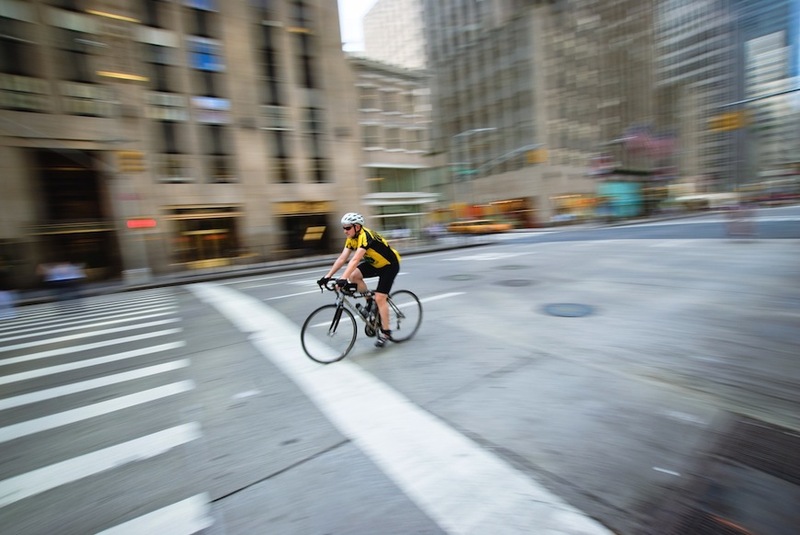 It was recently voted by Bicycling Magazine as the most bike-friendly city in the U.S., boasting 350 miles of new bike lanes and more than 34,000 residents who bike to work (the largest in the country). 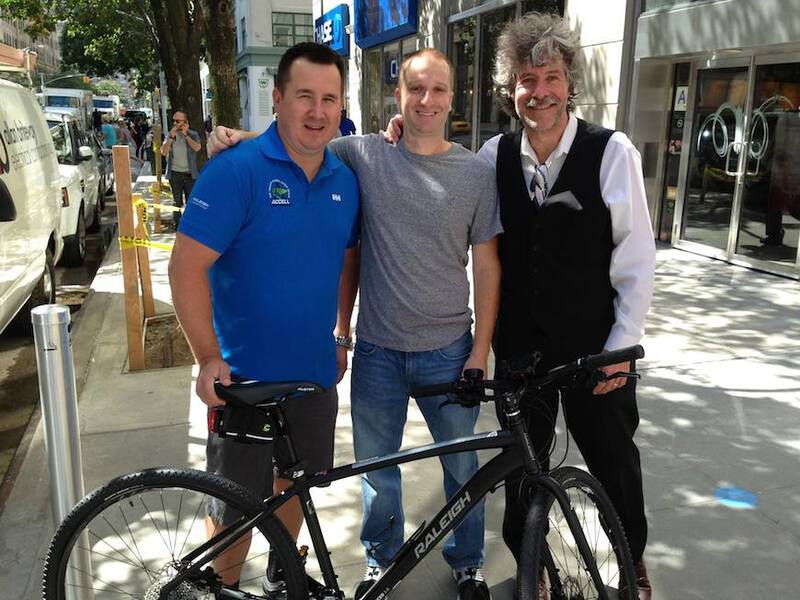 And if that wasn’t enough to convince you, local radio personality, Evan Roberts of WFAN Sports Radio’s Joe & Evan, recently took to the airwaves to talk about how his new Raleigh Misceo gets him from Queens to Manhattan every day, rain or shine. No matter where you live, there are plenty of ways to make sure your bike commute goes off without a hitch. So why commute to work no matter what the weather? According to Evan, “I think it's because if I don't bike to work, I feel like a shlub who didn't get my daily bike ride exercise in! I also began biking because I started to hate the NYC subway system, so no matter the weather, I'm motivated to get my exercise and avoid the subway system ruining the start of my day.” It’s easy to point out the perks of commuting by bicycle. The health benefits are great, it’s cheaper than paying for gas, you can often steer clear of traffic, and (depending on your city) a bike commute can often be faster than getting to work by car. No bus stops or gassing up required. According to Evan, when it comes to the city’s foot traffic, “I've always said that pedestrians are more dangerous to bikers than even the cars. I have seen some examples of how unaware a lot of pedestrians can be.” Being aware of your surroundings on your bike is key, but that goes for being a pedestrian as well. As a pedestrian, it doesn’t help that in addition to watching out for speeding cars with preoccupied drivers, our collective “screen time” is ever more distracting, pulling our gaze to an email or text rather than the cyclist cruising down the bike lane. The truth is, whether you’re riding a brand new, top of the line bike, or your beloved 20-year-old (slightly rusty) cruiser - either one will get you to work. The first step is simply getting into the routine of biking every day. The more you do it, the easier it will be to ditch the car keys or bus fare, allowing you to explore your city in a whole new way. While having a working bike is step one, having the right bike for you can be a real game changer. Earlier this summer, Evan was fitted to a Raleigh Misceo at Shrewsbury Bicycles because it was the right fit for him. And it’s paid off. “The ride over bridges has been made much easier!,” says Evan. “I'd say it's cut my commute from an average of about 36 minutes each way to about 31 minutes.” Five minutes gained is another five minutes not spent at work. And we’re pretty sure that’s something we can all get behind, right? Now listen to the immortal words of Queen, and get on your bike, and ride! Evan Robert of WFAN Sports Radio poses with his new Raleigh Misceo. Photo courtesy of Shrewsbury Bicycles.